Tonight, the bill to end 'Don't ask, Don't tell dies, but what happened? 60 senators say they support repeal, so how come they didn't vote for it? We're Keeping Them Honest. Plus, tonight's other headlines. 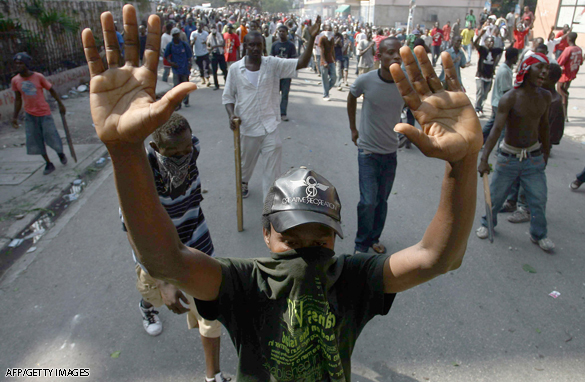 Editor's Note: Since Haiti’s presidential election results were announced Tuesday, thousands of protesters have taken to the streets. No candidate won a majority, forcing a runoff set for January 16th. The election council announced the two candidates who are in the runoff and supporters of the candidate left out have hit the streets in anger. CNN’s Jim Spellman is in Port-au-Prince. Read his first-hand account and scroll through the gallery of photos to find out what's really going on in Haiti right now. The first thing I noticed in the morning was the thick black smoke hanging in the humid tropical air. 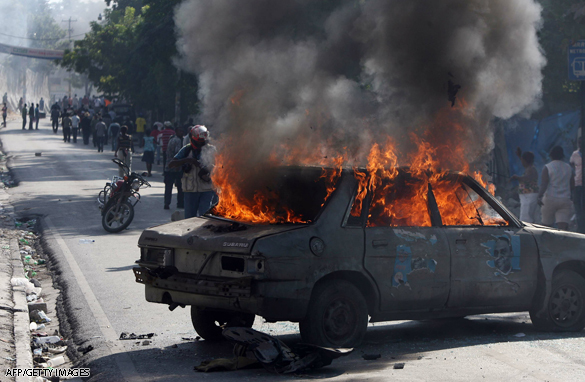 We soon found the source: dozens, maybe hundreds, of fires set throughout the streets of Port-au-Prince. The fires set the stage, then came the protesters by the thousands. 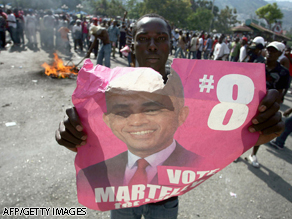 Most are supporters of Michel Martelly, a popular entertainer turned politician. His supporters lovingly call him Sweet Mickey, his old stage name. The crowds chant "Tet Kale! ", Creole for bald-head...a reference to Martelly shaved head. They march through the streets with no particular place to go. 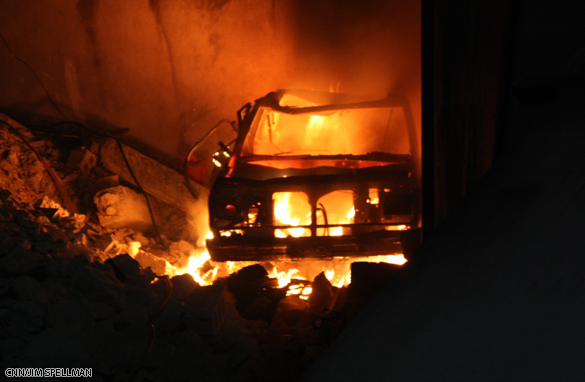 On Wednesday a group burned down the headquarters of the Inite party. Inite is the party of unpopular president Rene Preval whose protégé Jude Celestin beat out Martelly for a spot in a January election. On the street it goes way beyond simple politics. It is a year’s worth of anger and frustration pouring out. 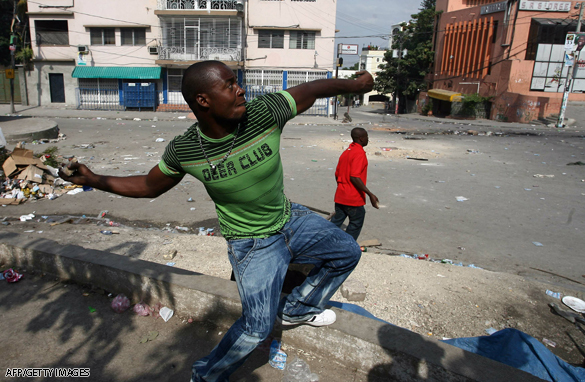 First the earthquake, whose impact is still evident everywhere in Port-au-Prince. Next came Hurricane Tomas, then the cholera outbreak. Now the people on the street feel they have been cheated out of an election. Their shot at a chance to feel a little hope seems to be gone. 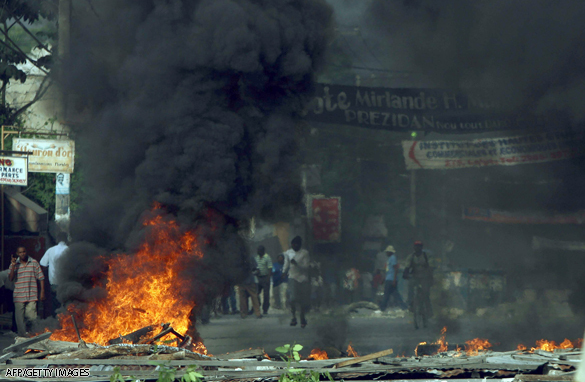 For the people in the street of Port-au-Prince it's the one thing they can't afford to lose. The Senate on Thursday rejected a Democratic bid to open debate on repealing the "don't ask, don't tell" policy banning openly gay and lesbian soldiers from military service, possibly killing any chance for it to get passed in the current congressional session. However, a bipartisan group of senators immediately said they would raise the issue again in a separate piece of legislation. 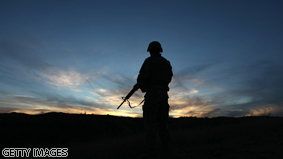 It was unclear if the bid to separate the repeal provision from a larger defense authorization bill would increase its chances for approval. Senate Majority Leader Harry Reid, D-Nevada, called Thursday's vote without an agreement with any Republican senators to support the motion, ensuring it would fail. 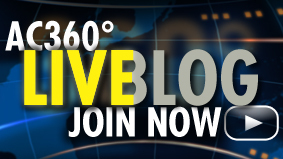 The vote was 57-40 in favor of the cloture motion that required 60 votes to pass. A Republican filibuster forced Democrats to seek a deal that would get them the necessary GOP support to get the 60 votes to proceed. The Democratic caucus has 58 members, meaning they needed at least two Republicans to join them to overcome the filibuster. Reid had been negotiating with moderate Republican Sen. Susan Collins of Maine for her support, and he postponed a planned vote Wednesday to allow more time for the talks to reach agreement. However, Reid announced Thursday he was calling the vote to open debate on the defense authorization bill, saying it was time to act on it after months of Republican obstruction and intransigence. Collins, apparently caught by surprise, missed the start of Reid's speech and requested a chance to question him on the Senate floor. She reiterated her support for repealing "don't ask, don't tell" and asked if the deal she had been discussing with Reid on Wednesday still stood. The Northern California Innocence Project has published an illuminating and somewhat discouraging report on prosecutorial misconduct in California. The report analyzed 4,000 cases of alleged prosecutorial misconduct from 1997 through 2009 and found that in 707 of those cases there was a judicial finding of prosecutorial misconduct; 3,000 rejected the allegation; and 282 did not make any finding. The report emphasizes that the totals are probably much greater because instances of misconduct may not have been discovered or brought to the courts' attention. The report stresses the lackadaisical approach of the courts and the state bar to such misconduct. In most cases, despite a finding of misconduct, convictions were permitted to stand, and rarely was the misconduct reported or disciplined, even though some prosecutors were repeat offenders. The authors (Prof. Kathleen Ridolfi of Santa Clara University School of Law and Maurice Possley serving as Visiting Research Fellow at the NCIP) contend that this problem is increasing - not diminishing. 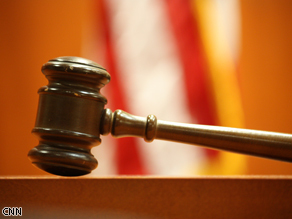 Although some of this conduct may be attributable to winning for the sake of winning, I suspect that it is not motivated by evil, but rather that the zealous prosecutors involved are so convinced of the person's guilt that the temptation to assure a conviction may motivate incidents of misconduct. However, good motives cannot exonerate or excuse misconduct when liberty, and in some instances, life is at stake. The misconduct violates both the oath and duty of prosecutors to seek justice. Most, however, play by the rules and conduct themselves with honesty and integrity. Senate Majority Leader Harry Reid, D-Nevada, may have to fold his efforts to push a measure legalizing online poker in the United States into a tax-cut bill, in light of strenuous opposition from Republicans. Such a provision would greatly benefit some of Reid's biggest campaign backers - those in the gaming industry, which has been lobbying for the change. But when Reid was asked Wednesday afternoon whether he was still pushing the poker bill during the congressional lame-duck session, he said, "We are still working on it," according to this office. Democratic and Republican sources had told CNN Reid was pushing for the provision to be included in the bill to extend the Bush-era tax cuts. One of those leading the opposition is Sen. Jon Kyl, R-Arizona, who vowed to block any attempt to include the poker legalization in the tax bill. Wednesday afternoon Kyl told CNN the measure was dead, saying, "Senator Reid has agreed with me that it will not happen." 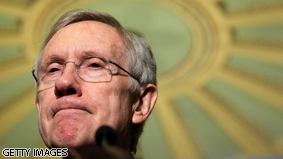 Reid's office refused CNN's request to discuss his push for the legalization. The support by the four-term Nevada Democrat, who won re-election in November, for the online poker measure is an apparent reversal. When Congress addressed online betting in 2006, Reid opposed its legalization. Some House Republicans also bristled at news Reid was attempting to shoehorn the Nevada-friendly legislation into the tax deal. GOP: Power players or 'hostage takers'? 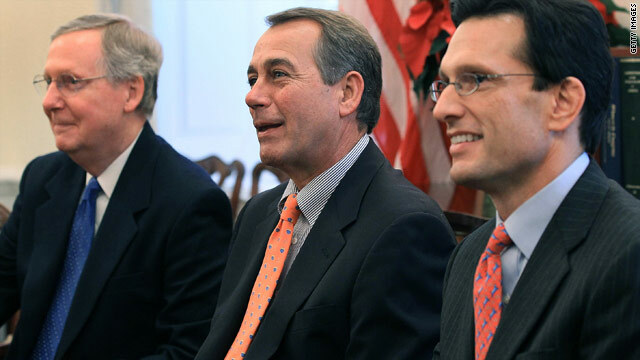 Senate Minority Leader Mitch McConnell, from left, and Reps. John Boehner and Eric Cantor are among the leaders of the GOP. In the months leading up to the midterms, President Barack Obama and Democrats tried to label Republicans the "party of no." But in the weeks since the election, Republicans have come out of the gate swinging, prompting the president to peg them as the "hostage takers." And with liberal Democrats in the House revolting over the deal Obama worked out with Republican leaders to extend tax cuts to all Americans rather than just those making $250,000 or less - a key campaign promise - the president is in a tight spot. He'll face a larger class of Republicans coming in with the new Congress next month and Democrats remaining defiant despite their weakened standing. All 42 Senate Republicans last week issued an ultimatum, refusing to move ahead with any other issues being considered by the lame-duck Congress until the dispute over extending the tax cuts, which are scheduled to expire at the end of the year, was resolved and an extension of current government funding was approved. It was a bold move by Republicans, who won control of the House of Representatives in last month's midterms and weakened Democrats' power in the Senate. Supporters said Republicans were standing up for their principles, while Democrats likened it to a congressional temper tantrum. "Mitch McConnell and the Republican senators that signed that letter last week said basically, 'You are going to play by our rules or we're going to take our ball and go home,' " said Democratic consultant Mo Elleithee. So far, the White House has been forced to play by GOP rules. With Congress at a stalemate, Obama this week announced a deal worked out with Republican leaders that recommended extending the tax cuts for all income levels for two more years. 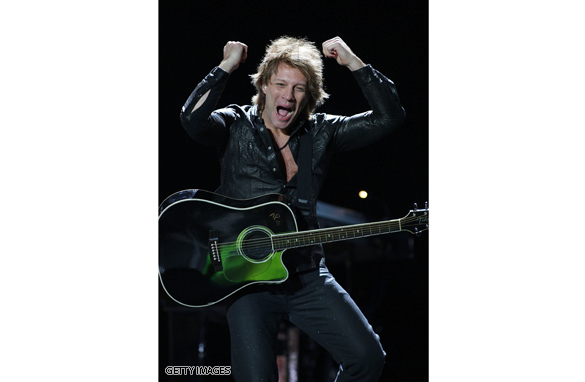 Looking to augment a lackluster concert turnout, Jon Bon Jovi sells tickets to the gun show. The longstanding credibility issues of Haiti's Provisional Electoral Council (CEP) continued on Tuesday, when it announced preliminary election results that gave second place — and a place on a runoff ballot on January 16 — to President Rene Preval's hand-picked candidate, Jude Celestin. International observer groups maintain that Celestin had, in fact, finished third behind opposition candidate Michel "Sweet Micky" Martelly. 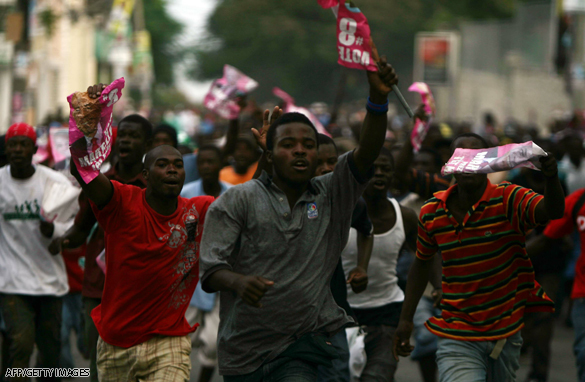 After an election marred by widespread reports of fraud, many Haitians took to the streets to make it clear whom they were believing, and it wasn't the CEP. 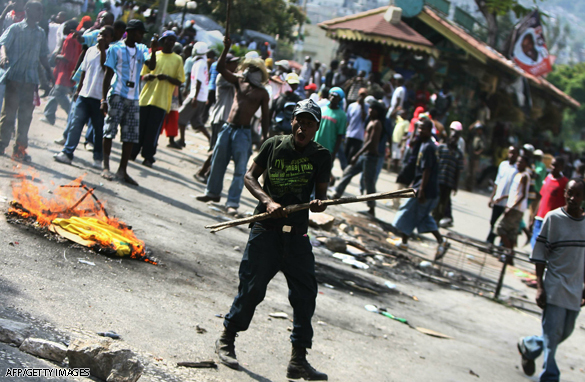 Protesters have taken to the streets of Haiti by the thousands, angry with Tuesday's election results. 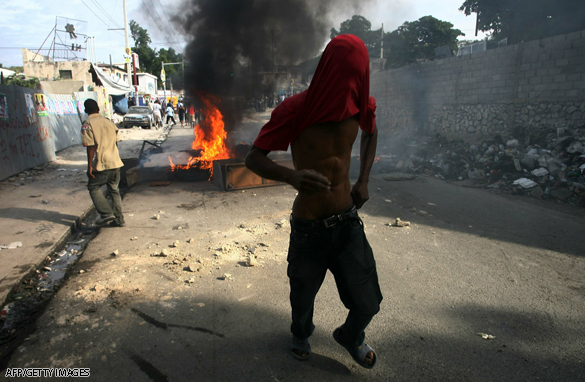 The resulting wrath, especially among Martelly supporters, led to gunfire and left the streets of Port-au-Prince choked by' roadblocks and burning tires on Wednesday, while the headquarters of the ruling INITE (Unity) Party was set on fire. Preval, widely criticized for his aloof response to January's massive earthquake that killed 230,000 people, called for calm; but the unrest shut down the capital's airport. 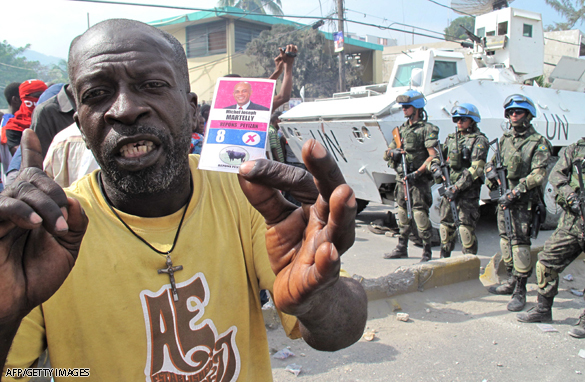 With more than a million Haitians still homeless after the quake, and with a cholera epidemic so far claiming 2,100 more lives, the nation is in no mood to tolerate what many suspect is government-engineered fraud. "All the money Celestin spent on his campaign, he could have [bought us new homes]," says protester Dadil Jean-Pierre, 21. "INITE has been in power for too long, and they haven't done anything for us with their power." According to the CEP, opposition candidate Mirlande Manigat, a 70-year-old constitutional law professor and former First Lady, finished first with 31% of the vote, followed by engineer Celestin, 48, with 22.5% and Martelly, 49, with 21.8%. 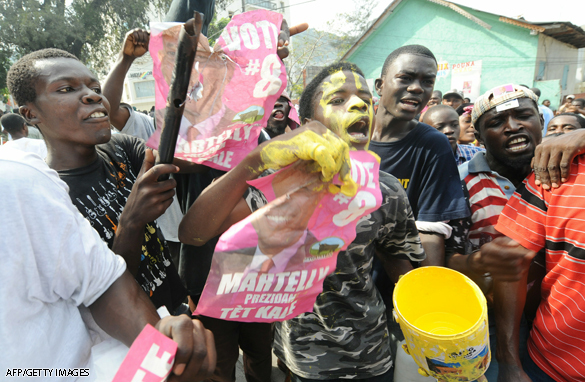 That razor-thin margin, representing fewer than 7,000 votes, has provoked widespread skepticism, since independent organizations such as the European Union-financed National Election Observation Council (CNO), which placed more than 5,500 monitors at 15% of Haiti's polling stations, estimated that Martelly won closer to 25% and Celestin about 20%. Even the U.S., which contributed $14 million to the election effort, says it's worried that the CEP's results are "inconsistent" with those of credible international watchdogs, and urged that the results reflect "the will of the people". And while the Organization of American States (OAS) and the Caribbean Community (Caricom), which jointly monitored the election, said they considered the vote valid, they warned that the CEP results "are preliminary and therefore not the final word on the outcome of the first round," which are scheduled to be released on Dec. 20. The organizers of an attempted Amazon takedown called off the attack less than an hour later. The website-attacking group "Anonymous" tried and failed to take down Amazon.com on Thursday. The group's vengeance horde quickly found out something techies have known for years: Amazon, which has built one of the world's most invincible websites, is almost impossible to crash. Amazon has famously massive server capacity in order to handle the December e-commerce rush. That short holiday shopping window is so critical, and so intense, that even a few minutes of downtime could cost Amazon millions. So Amazon (AMZN, Fortune 500) has spent years creating and refining an "elastic" infrastructure, called EC2, designed to automatically scale to handle giant traffic spikes. The company has so much spare server capacity, in fact, that it runs a sideline business hosting other websites. Its customers include the New York Times, Second Life, Etsy, Playfish, the Indianapolis 500 and the Washington Post. Until last week, WikiLeaks was one of Amazon's website-hosting customers. Amazon gave WikiLeaks the boot in the wake of the site's controversial release of a trove secret U.S. State Department documents. That put Amazon in the crosshairs of Anonymous, a group that originated on image-board site 4chan.com, which organizes swarms to try to crash the websites of those it deems enemies. In the past, Anonymous has taken down several high-profile sites, including those of the Motion Picture Association of America and the Recording Industry Association of America.